has challenged us to go vintage! screw head brad, rub on sentiment and a little faux stitching. 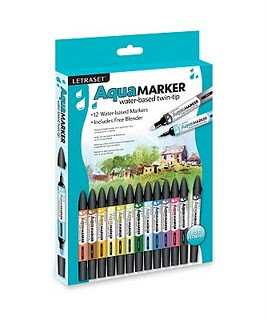 of the lovely Aquamarkers from Letraset! some really amazing pieces of work. on the go at Polkadoodles. and add some colouring to your vintage project? Wouldn't it be great to win this fabulous set of Aquamarkers!!! Love the flower and the butterfly. So happy you joined us over at Simon Says Stamp & Show! Fabulous card Claire and glad you enjoyed it in the end. Wendy Vecchi does the most gorgeous artwork which I love too. Thanks for making such a great card for my challenge. Love this! The deers just made me laugh! thanks bunches for playing along with the Design Teamies and Simon Says Stamp and Show Challenge!!! This is lovely Claire, I love your colouring on the deer and the flower and butterfly too! Classy card! Love the colors, the flower and the butterfly!